Artichokes have a short growing season here in New York. 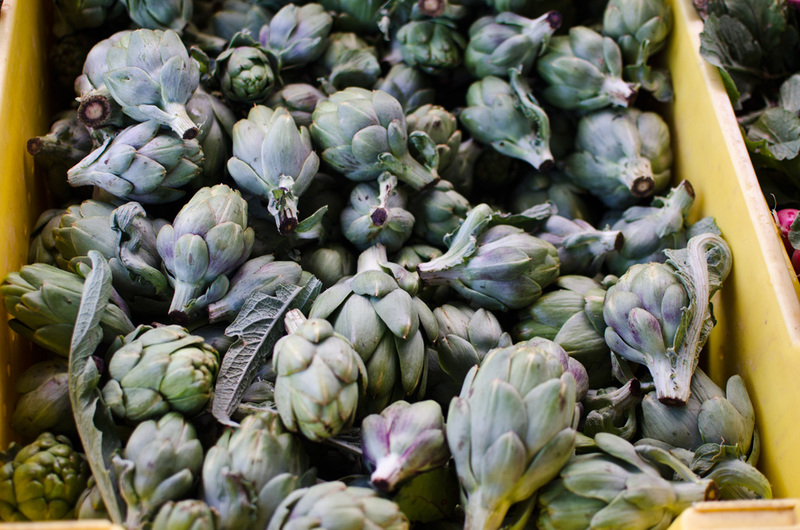 It’s easy to overlook that fact, since we import so many artichokes from California that they’re available almost all year long. These little local beauties only show up at my local Greenmarket for a few weeks every year, and I get super excited when they arrive. Since they’re so small they don’t require much prep — just avoid the tiny little spines on the end of the leaves.